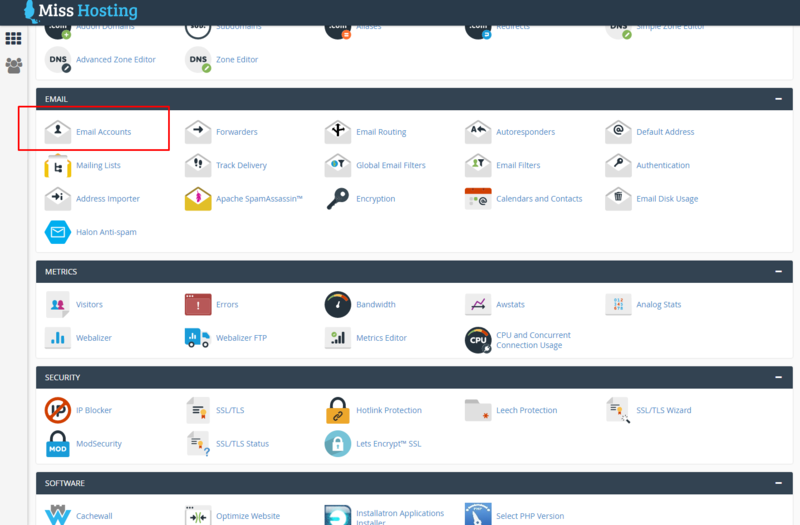 How do I create a new e-mail account? 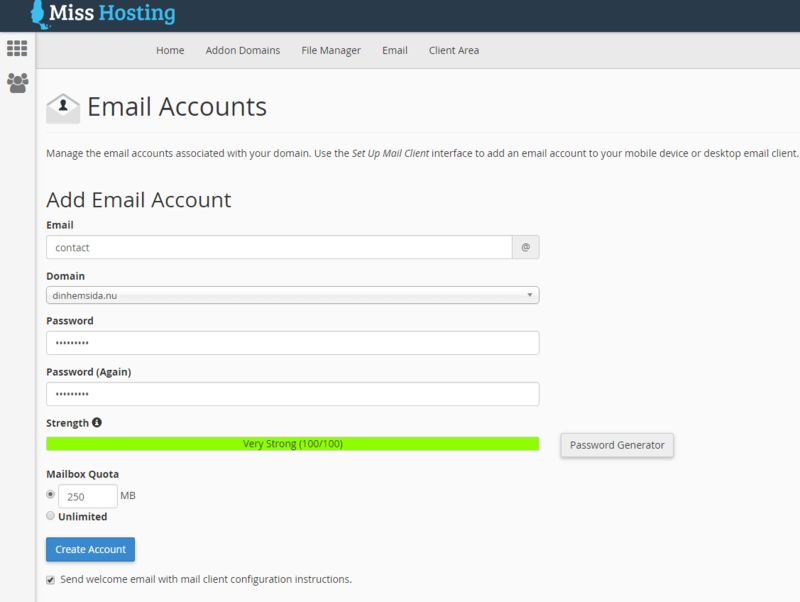 In order to create a new e-mail account on your domain you have to start by logging in to your cPanel. When you've logged in, find the "Email" section and press "Email accounts"
When you add a new account, you only need to type in the actual name of the e-mail adress. The "@" and domain will be automatically filled in by the system, you can also choose to create e-mail accounts on more than 1 domain under the "Domain" list. And then just press "Create account" and you new account is created.